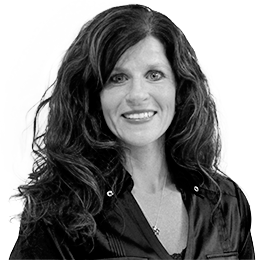 Principal, HFE/Research, HS Design, Inc.
Mary Beth Privitera, PhD, FIDSA, has worked in the medical device industry since 1988 and is widely known as an expert in the application of human factors in medical product design. She holds an appointment as associate professor at the University of Cincinnati and works collaboratively among the Colleges of Medicine, Engineering and Design. She is the director of the Medical Device Innovation and Entrepreneurship Program at the University of Cincinnati. Privitera also is a principal at HS Design, responsible for human factors and research. Additionally, she serves as faculty and co-chair of the Association for the Advancement of Medical Instrumentation’s Human Engineering Committee. She has been associated with more than 30 product releases and holds several patents. She has worked in the areas of endovascular neurosurgery, cardiology, general and vascular surgery, wound healing, temperature management and central access devices. Her current research focuses on applied ergonomics, design research and organic shape development in Nitinol. She has authored Contextual Inquiry for Medical Device Design, promoting best practices for phase zero medical device development. Privitera chaired the second annual IDSA Medical Design Conference in Tampa, FL in 2015. She was inducted into the IDSA Academy of Fellows in August 2016.